What does laundry mean to you? For most people when you mention laundry they immediately feel dread and a poor use of time. No one thinks that laundry is a good use of their time, much less look forward and get excited about the prospect of washing, drying and folding their laundry. Just one load of laundry takes approximately 45 minutes to wash, 50 minutes to dry and 10 minutes to fold. That is 1 hour and 45 minutes for just your whites. Now compound that with a load of darks, a load of colors, some dedicates and half of day is gone just to make sure your clothes don’t smell. How much better could you use your time versus washing, drying and folding your own laundry? Would you take the opportunity to work more?Would you catch-up on sleep? Would you finally get that workout in? Would you use that time to build connections with people that will last a lifetime? No matter how you plan to use your time, there is no doubt that your laundry time could be better used to fulfill your life. Bye Bye Laundry is your laundry solution. 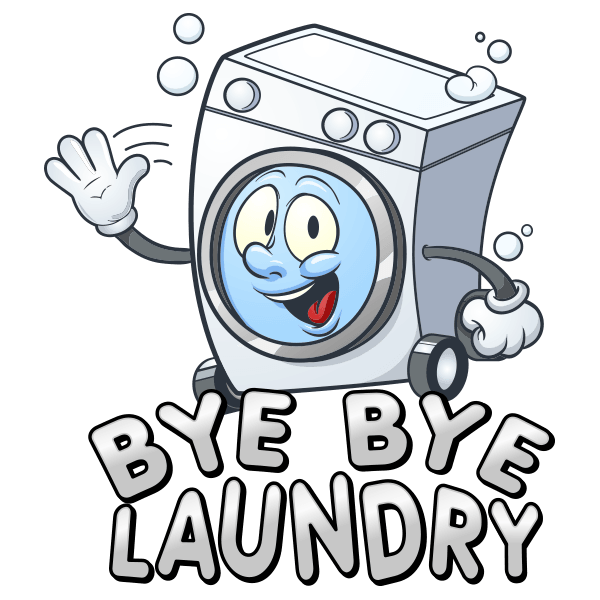 Bye Bye Laundry is a laundry delivery service for St. Charles County and select West St. Louis County neighborhoods. With our convenient and easy pick and drop service their is no excuse to continue to do your own laundry. We provide simple and easy pricing that is surprising very affordable and the added convenience of paying on-line, the time to stop doing your own laundry is right now. Imagine how much more productive and easy your life will be when you finally realize the dream of having your dirty clothes picked up form you and then delivered just a few days later clean and folded. Finally this freedom has arrived in St. Charles with the launch of Bye Bye Laundry.